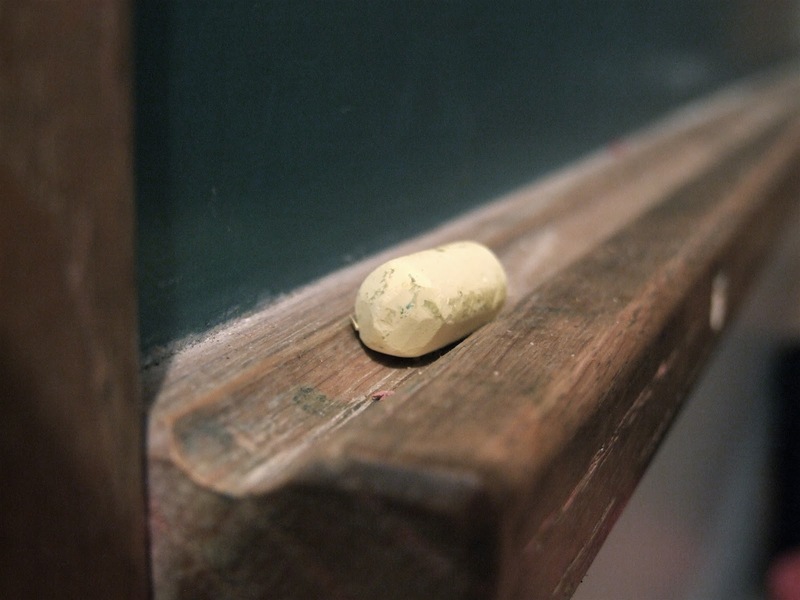 Teacher’s Tools: Blackboard and Chalk | Samuel K. Parish, M.D. He prefers to teach using the classic blackboard with chalk even when white boards, dry-erase markers, and high-tech devices with PowerPoint have replaced it in most classrooms. I agree with Professor McFee. Technological advancement is not synonymous with pedagogical advancement. Some things don’t need upgrades to newer versions; blackboards and chalk version 1.0 work just fine. 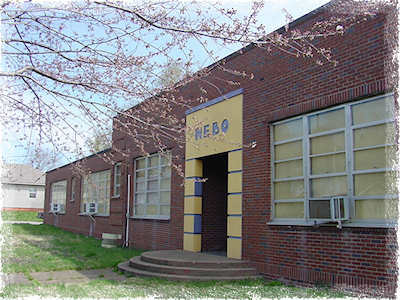 I was fortunate to attend Nebo Elementary School in Nebo, Kentucky starting in the late 1960s. Nebo was a small, rural town situated between the farms and coalfields of western Kentucky just four miles from the smaller village of Manitou, my home. The school had been K-12 at one time; my parents and three older brothers all passed through its doors. I was the last of the family to receive an education there; the greatest challenge saved until the end. The teachers performed miracles with chalk on a blackboard, depths of patience, and great intelligence. The constant classroom feature was the blackboards that stretched across the front of the room with another one down the side wall. To this day, I remember the names of most of the teachers. There was Ms. Tucker in 1st grade where I learned to spell my name for the first time–I didn’t know whether to write Sammie or Sammy although my name was Samuel. Third grade was Ms. Barron who taught multiple generations of students including every member of my family from the 1940s onward. 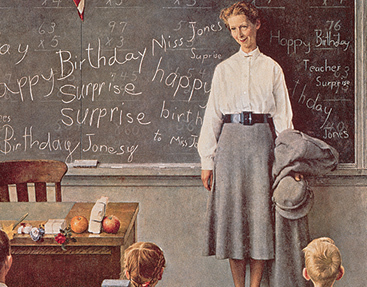 She would hand a piece of chalk to each student to practice cursive letters on the board. Ms. Martell took the stage in the 4th grade in a classroom that opened into the gymnasium, somewhat of a noise issue. The 5th grade was Ms. Hocker, the only African-American teacher in the school. As the 5th grade spelling bee champion I advanced to the county competition in Madisonville in 1973. She drove me to the county competition in her Volkswagen Beetle–I was the first contestant to sit down when I misspelled ‘separate’ by saying S-E-P-E-R-A-T-E. I was disappointed but it didn’t seem to bother Ms. Hocker much. She even bought my lunch before we drove back to the school in the afternoon. By the time I reached the 7th and 8th grades, all my teachers were men for the first time. There was Mr. Cannon, Mr. Dunville, and Mr. McFadden. The volume of blackboard usage and chalk dust was greatly increased as the math, science, and social studies required extended formulae and explanations to be written on the board. The chalk dust was a sign of work on the hands of the teachers after presenting the world of knowledge to the audience of young minds. Much like a carpenter building a house or a coal miner bringing anthracite out of the earth, each exhibited the residual dust on their hands indicating productive labor. 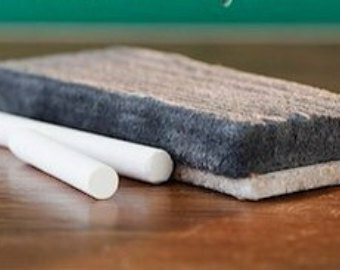 At the end of the day the teacher needed the felt erasers cleaned. The student or students chosen for the honor were usually ones with good behavior for the day. Even I was chosen, occasionally. There were four acceptable methods of getting the chalk dust from the erasers. The clapping method of hitting two erasers together worked fine, but created too much dust close to the face. I preferred the other three methods which involved beating the erasers against a tree, the brick school wall, or the concrete sidewalk. It allowed us to burn off some energy at the end of the day. “Writing on a blackboard is like writing a letter, or a poem, by hand. For one class period, what you’ve written is your holograph. Then it goes away. Like all writing. Like us. Michael McFee is first and foremost a poet. The sentences quoted above, although written as prose in his essay, are poetic. The days of old blackboards and chalk dust are fading rapidly as the digital age continues to expand. As with any teaching tool, whether chalk on blackboards or stylus on computer screens, the tool is not the most important item. The teacher controlling the direction of the tool is the genius that drives education. I’ve been fortunate to have some of the best. Thank you, Professor McFee, for taking me on a trip down memory lane. Norman Rockwell, Saturday Evening Post, March 17, 1956. This entry was posted in Miscellany, The Writing Life and tagged blackboard, chalk, Chronicle of Higher Education, memory, Michael McFee, Nebo Elementary, Nebo Kentucky, pedagogy, teachers, The Chronicle Review. Bookmark the permalink. I am extremely impressed with your blog. I am Bill and Jacque Walker’s younger brother (2 years younger). My favorite spots to dust the erasers were the tree and the tank (probably a propane tank) next to it. Of course, Mrs. Barron dusted her erasers in the classroom when she threw them at her students. Apparently, she got dust on her little paddles too, because they would occasionally go sailing by too. I still have PTSD from that.